A framing carpenter repairs and builds structures of wood products or wood. In a construction site they are usually the first to start their job. Their construction is basically the framework on which the project will be built. The job of a framer requires accurate measurements, cutting and assembling the framing wood to build commercial, residential and industrial buildings. V-grooved edge so you can easily work on pipes and round stock. The vials are bright and feature surround reflect to aid in better visibility. The light system comes with auto shut down after ten minutes and all the three are controlled by just one button. The vial caps have an accurate 029° which have been sealed permanently and doesn’t need to be recalibrated. In order to have a strong grip on the metal services the tool has been designed with 4 magnets of neodymium which are v-grooved and are ten times much stronger than the regular ones. 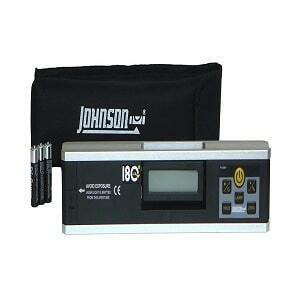 Johnson laser Level -40-6080 has been self-calibrated and is an electronic level inclinometer which displays angle and inclination concurrently. It has an audible tone which confirms the position of inclination from 0° to 90°. The measurements displayed are accurate. Johnson is a reliable company and warrantees parts and service for three years provided you have a proof of purchase. There are five different languages of constructions in which the reading are displayed; degrees, in/ft fractional, mm/m, percent and in/ft decimal. The digit inversion happens automatically for all overhead measurements. The push button calibration has a working range of 4 x 90° with an accuracy of + or – 0.1° at 0°, 90°. The device stretches from about six to ten feet. There are hand holes in the device which makes it easy to handle. The preciseness of the Stabilia 35610 is guaranteed for life. 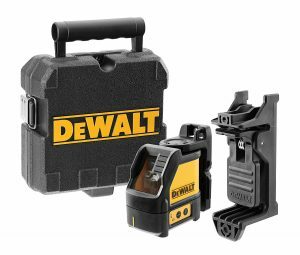 The Dewalt self-levelling line laser is perfect for vertical plumb, horizontal level and all types of framing work for interior. 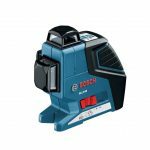 This laser has been designed to deliver its users with easy to operate self-levelling laser with maximized resilience too. 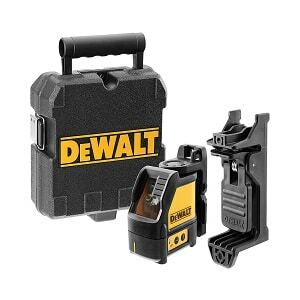 This Dewalt device comprises of a standard pivot bracket which is magnetic and for operating 360° which can be easily fixed on any type of metal surface. 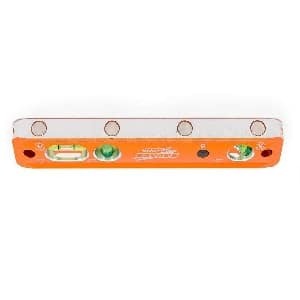 One of the best features of the laser level is the presence of a full time pulse mode which permits the user to have a range of 150 feet with the help of a laser receiver. It has a simple one button operation and a control panel for easy control of the device. There is a built-in magnetic pivot bracket which helps in easy mounting of the device on all metal surfaces. 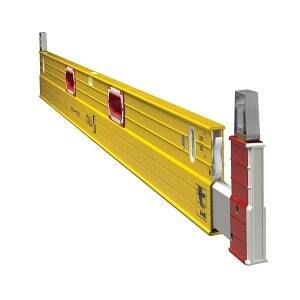 The device is made sturdy and long lasting by an over moulded housing so it is safe at the working site. 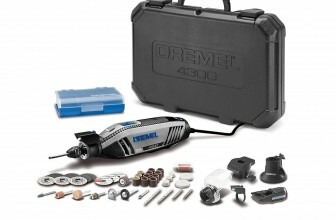 The accuracy of this device is + or – 1/8” up to 30 feet for any level application. The device runs on 4 AA batteries and gives a life for about twenty hours. 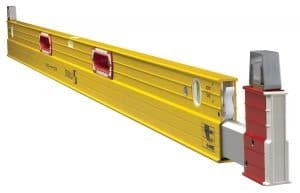 The market has hundreds of lasers and levels which can assist in framing carpentry however; based on job requirements and best features you could filter your results for the best rotary laser level. 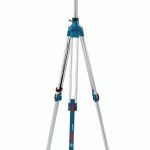 The above devices are reliable and besides aiding framers they can also be used by other tradesmen on the construction sites. 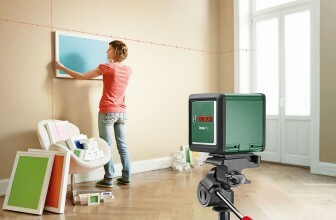 You could also take the help of internet where you can find many laser level reviews for tools from different companies. 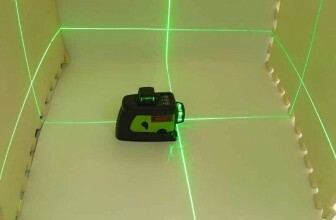 Proper research will help you investing in the best laser level.